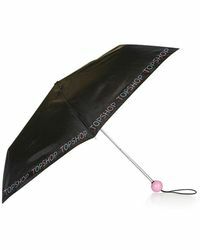 High-street giant Topshop is known for its exciting and directional designs that effortlessly capture the current zeitgeist. 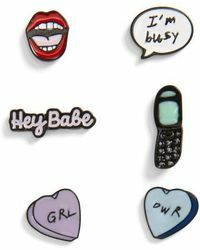 Founded in the 60s by Peter Robinson, Topshop has been at the forefront of the affordable fashion market for over sixty years. 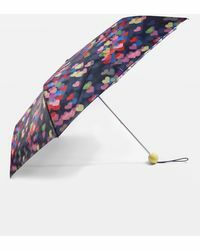 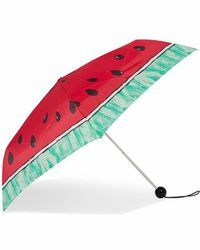 Don't let bad weather rain on your parade, keep your cool on your commute or out shopping with the stunning collection of Topshop umbrellas. 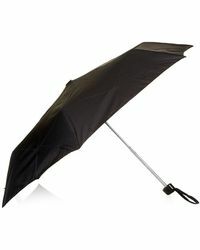 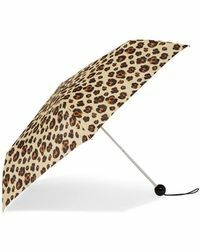 The ultimate blend of fashion and function, choose from compact travel styles or bold and beautiful patterned golf umbrellas.